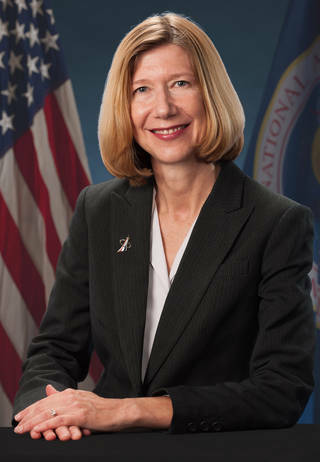 A successful space mission requires the coordinated efforts of human spaceflight experts, working thousands of hours, to come together at just the right moment – not only on launch day, but months and even years ahead of time. For one Marine veteran, tapping into his military background to coordinate those fine details is part of the fun and accomplishment he sought when he came to NASA. The past year marked a substantial transition for NASA’s Commercial Crew Program and its partners as they moved from design of critical elements and systems in previous years to the manufacturing of the spacecraft and launch vehicles. 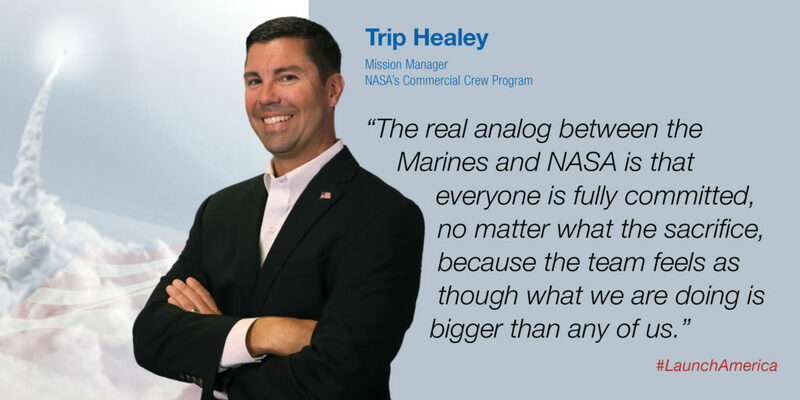 Working on independent spacecraft and launch systems, Boeing and SpaceX made substantial modifications to launch complexes in Florida and performed the first integrated simulations of the teams that will oversee the flights. Along the way, advances were overseen by NASA engineers and the astronauts who will fly the spacecraft into orbit for the flight tests. Read about the dynamic 2016 achievements here. In case you missed it, President Barack Obama talked Thursday, Oct. 13, with the two companies developing the next generation of American spacecraft designed to take NASA astronauts into orbit and to the International Space Station. Touring exhibits by Boeing and SpaceX during the Frontiers Conference at Carnegie Mellon University and University of Pittsburgh in Pittsburgh, Obama discussed the immediate future of space exploration and touted the advances made in the public-private partnerships between the companies and NASA’s Commercial Crew Program. Because the new spacecraft will enable a larger space station crew and more research time in space, they are seen as critical avenues to help scientists and astronauts explore the best methods to send crews into deep space and eventually to Mars. 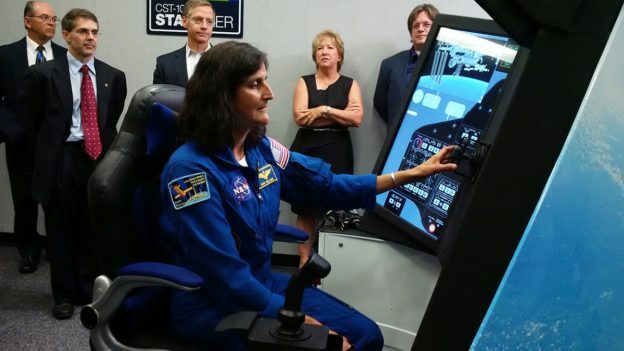 Obama even took the controls of a simulator designed to mimic the flight of Boeing’s CST-100 Starliner spacecraft. He conducted a Starliner docking maneuver similar to the one astronauts will actually fly in the future during crew rotation missions to the orbiting laboratory. “Your ride is here,” Obama said after completing the exercise. The president also inspected SpaceX’s Crew Dragon design up-close and talked at length with Aunon-Chancellor and a company official. “You almost want to get in and take off, don’t you?” the president said. 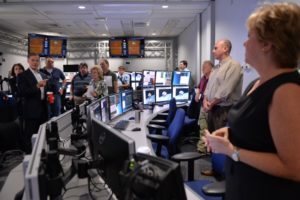 Astronauts have new training equipment at NASA’s Johnson Space Center in Houston after Boeing installed its Crew Part-Task Trainers that simulate aspects of missions aboard the company’s CST-100 Starliner spacecraft. The spacecraft and training systems are in development and manufacturing in partnership between the company and NASA’s Commercial Crew Program in order to begin flying astronauts to the International Space Station from launch sites in Florida. Boeing officials, including former space shuttle commander Chris Ferguson, offered news media and others a tour of the facility in Houston where astronauts will rehearse for Starliner missions. Astronauts Suni Williams and Bob Behnken, two of four selected to train to fly Commercial Crew Program flight tests with Boeing and SpaceX, took the controls of the simulator to demonstrate the trainers as engineers looked on from separate workstations. During normal training operations, the engineers will oversee the situations as astronauts perform simulated missions. 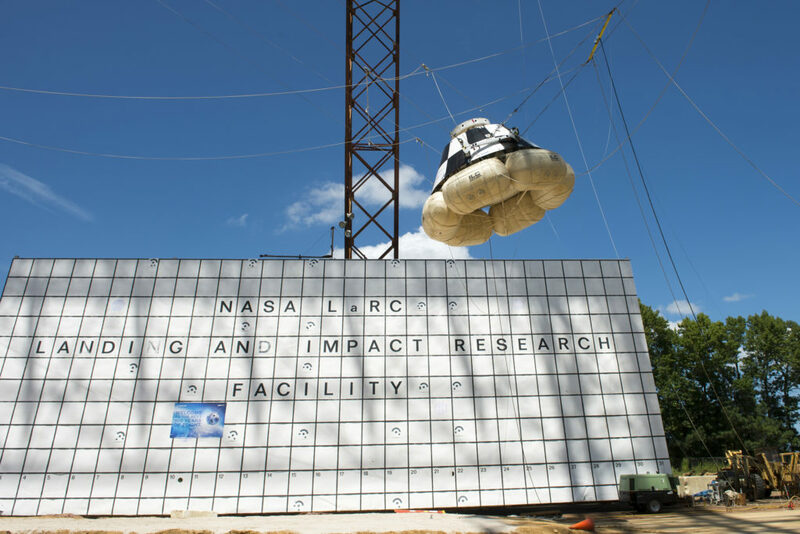 Check out these two additional views of the drop tests campaign for Boeing’s CST-100 Starliner design at NASA’s Langley Research Center in Virginia. The Starliner mock-up was dropped several times from about 30 feet and released on angles and at speeds to evaluate realistic conditions the spacecraft could encounter during the end phase of an actual mission when astronauts are aboard and the spacecraft is touching down in the American Southwest. Starliner is equipped with airbags to help cushion the impact for the crew inside. Whether it lands on solid ground as planned, or has to splash down into water for an abort, the airbags are to inflate to provide a buffer for the spacecraft. 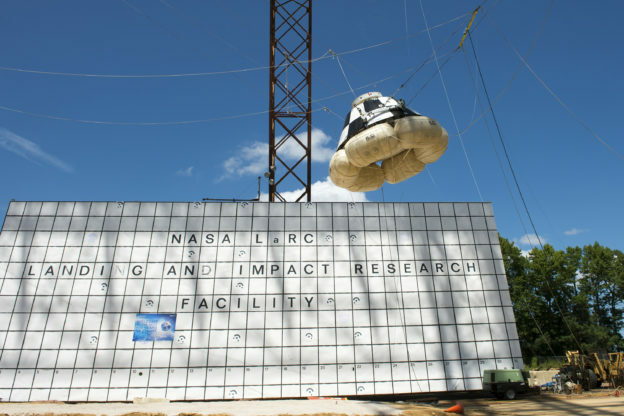 The tests at Langley are being performed inside a landmark red and white gantry at the center that has been used throughout NASA’s history to evaluate many designs ranging from airplanes to the lunar lander for Apollo. The Starliner completed water landing qualification testing earlier this year in Langley’s Hydro Impact Basin. The results are used to confirm the design and NASA Commercial Crew Program engineers will also make their own evaluations from test results. Starliner is one of two spacecraft in development in partnership with Commercial Crew to fly astronauts to the International Space Station. Tasked with carrying up to four people at a time, both the Boeing Starliner and SpaceX Crew Dragon are big enough to allow an expansion of the resident crew on the orbiting laboratory which means research time on the station will double. 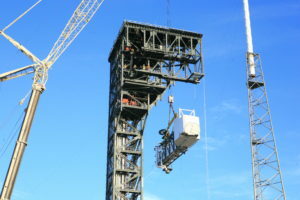 A 50-foot-long, 90,000-pound bridge to space known as the Crew Access Arm was installed today at Space Launch Complex 41 at Cape Canaveral Air Force Station adjacent to NASA’s Kennedy Space Center in Florida. 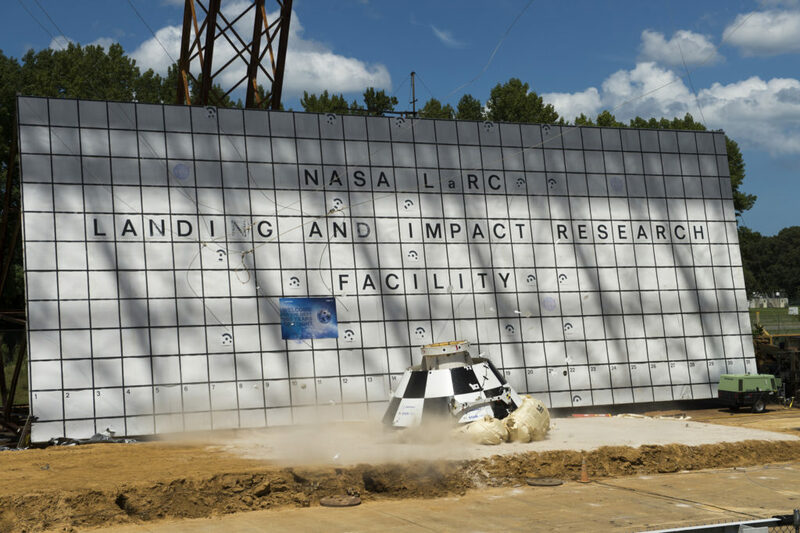 Workers have been modifying the launch pad so astronauts can climb aboard Boeing’s CST-100 Starliner spacecraft ahead of NASA Commercial Crew Program missions to the International Space Station. When poised for space on launch day, the Starliner will be standing atop a United Launch Alliance Atlas V rocket. 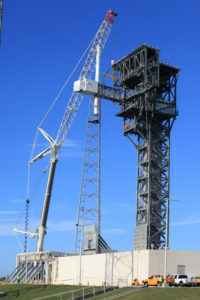 The arm and a White Room were attached to the Crew Access Tower, a 200-foot-tall structure at the launch pad that has been built specifically for the unique needs of astronauts. For example, crews wearing pressure suits and helmets need more room to move around than people wearing regular clothes, so the areas and elevators are wide enough to accommodate them. There also was special care to avoid anything that could snag a spacesuit. The construction by ULA has taken place even as the pad has remained active for launches of the Atlas V on missions to deliver satellites into orbit and to loft NASA spacecraft on their own missions, including September’s launch of the OSIRIS-REx asteroid sampling spacecraft. The arm’s placement is the latest in a growing list of accomplishments for the Commercial Crew Program and its partners as NASA works to restore America’s capability to launch astronauts to the space station from its own soil. 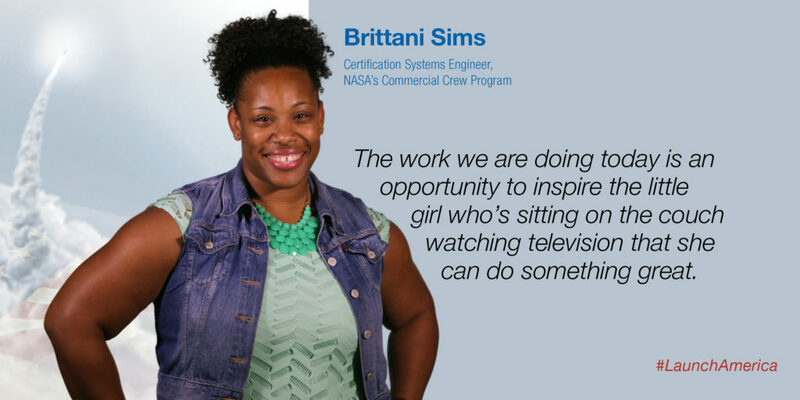 With Boeing’s Starliner and SpaceX’s Crew Dragon flying astronauts to the station, the crew there can grow to seven residents and the amount of science time available for astronauts will double. That means enhanced research opportunities to figure out the mysteries of long-duration spaceflight as well as more time to work on aspects of life on Earth that can be improved with the help of science performed in space. 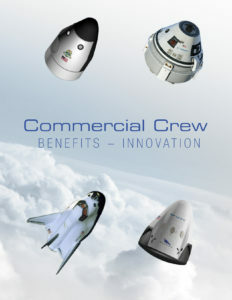 Start Back to School With Commercial Crew In Your Backpack! When you crack open your books for school, keep your place with Commercial Crew Program bookmarks. Download and print them out today! 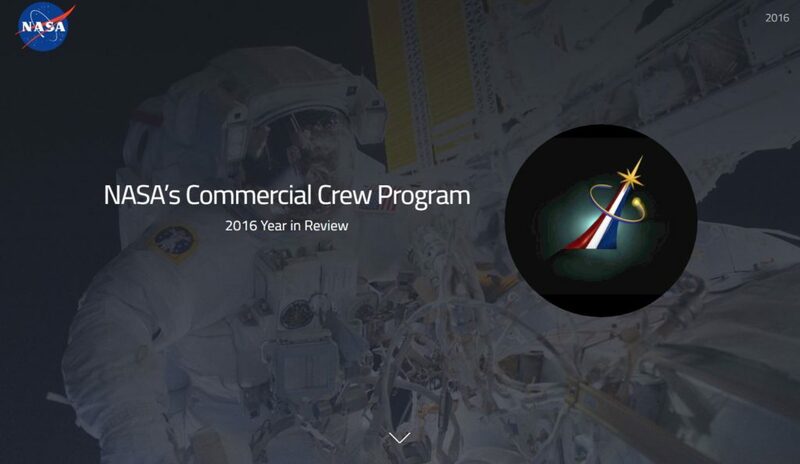 Author Steven SiceloffPosted on August 10, 2016 Categories Boeing, CCtCap, Commercial Spaceflight, General, International Space Station, NASA, SpaceXLeave a comment on Start Back to School With Commercial Crew In Your Backpack!